The latest Carlsbad Art Wall creation, by Los Angeles muralist and artist Annie Preece (aka “Love Annie”) was completed this past weekend…and a rainy one it was. I wasn’t able to stop by to watch but I sure felt sorry for the artist having to paint in the rain, which thankfully was not continuous! I sure hate to complain about getting rain since we need it badly! Most of the wall mural was completed, but according to the artist a few finishing touches remain due to the weather. The #CarlsbadArtWall is located at the popular Mexican restaurant, Senor Grubby’s, on the east facing wall, on Carlsbad Village Drive just west of the railroad tracks. 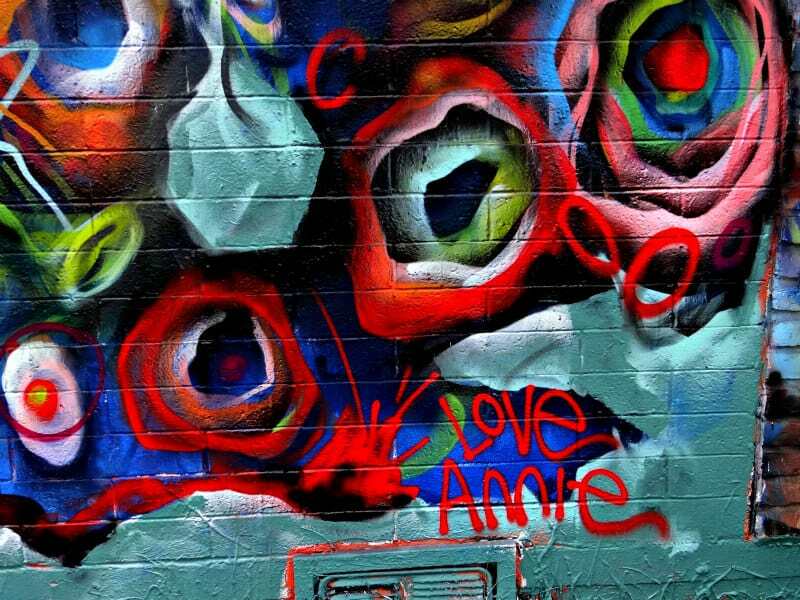 Annie is the only Carlsbad Art Wall artist invited so far to be a repeat muralist…but my guess is we may see others. 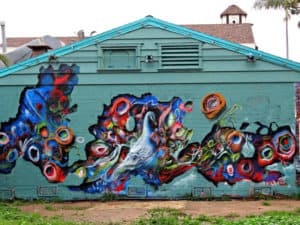 That, of course, is up to Carlsbad artist Bryan Snyder, brainchild of the art wall with, of course, a special thanks to the owner of Senor Grubby’s.